By stimulating the muscle, EMS or Electric Muscle Stimulation can force muscles to exhaust 50 times more energy than regular exercise. EMS encourages the growth of protein and elastic fibers, it has effects on rebooting skin elasticity as well as repairing lines and damaged skin. 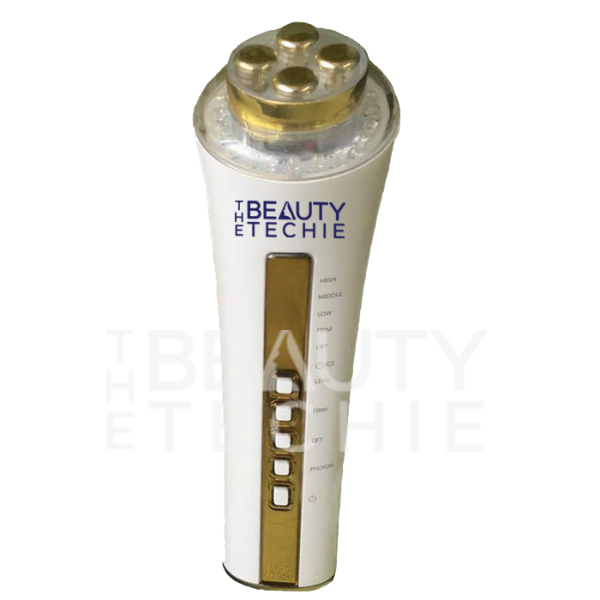 Radiofrequency (RF) is a time proven technology that has been applied in the beauty industry for decades. It is primarily used to treat skin laxity by facial tightening, and is best suited to patients with mild to moderate sagging of facial tissues, usually those in their mid 30s to 50s, of any skin color. 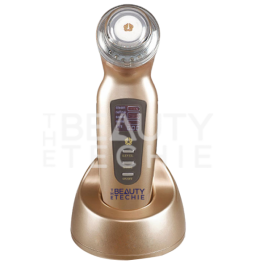 RF energy, when used for skin tightening, is able to penetrate deep into the skin and affect the deeper dermis and subcutaneous layers, causing tightening and improvements to the underlying tissue structure. 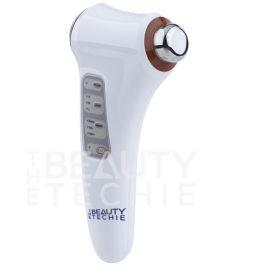 The radiofrequency energy heats the skin without damaging it, in order to break down fatty cells and stimulate collagen production, which improves skin tone and elasticity. 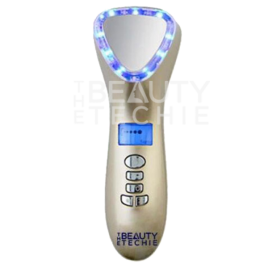 Red Photonic LED: Wavelength 622±5nm, stimulates the generation of collagen for firmer skin. Yellow Photonic LED: Wavelength 580±3nm, improving generation of collagen and cell activity to reduce wrinkles and lines, and improving blood circulation to invigorate skin vitality from inside.